Is it true that France has resisted ebooks? 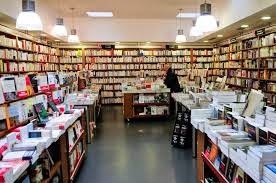 Q: I just read an article about how France has preserved its independent bookstores thanks to the French love of the physical book and strict rules limiting discounting. Is there really a "French exception" when it comes to books? A: Yes, there is a French exception. And, as it is French, it is complicated to explain while being perfectly delightful to experience. For starters, books are in French. You'd be surprised how this limits predators from the US and UK. But, more to the point, publishing is highly regulated in France, with strict limits on discounts that keep book prices high, as well as a system of subsidies. Are high book prices good? That is a question that may merit debate.